Improve lighting and ergonomics at any floor level or overhead assembly, maintenance or repair task. 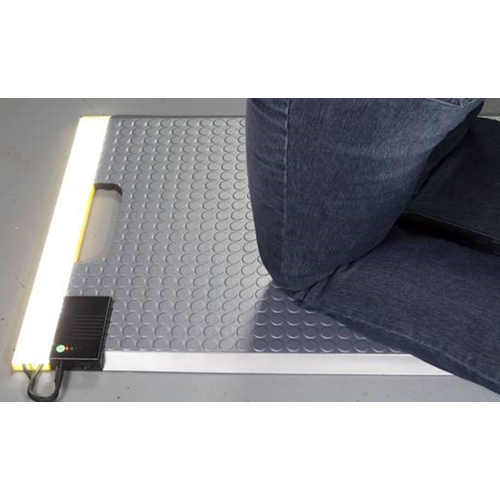 The ergonomic LED kneeling mat provides cushion for workers knees or feet to help eliminate fatigue, while the two LED light strips illuminate work areas for improved visibility from the ground up. Power is provided to the mat through a rechargeable 6000MEH battery that can be managed to last a full 8 hour shift. A convenient carry handle is cut out of the top of the mat to make relocating to different work areas easy.